Best location, great service, great place to stay! 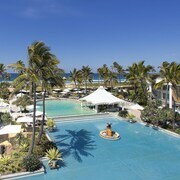 A night away at the Gold Coast This was just what we needed to help recharge our batteries. The venue, staff and facilities were excellent. Accessing the beach was so easy as the hotel is adjacent to this. What’s a holiday without a few upgrades here and there? Your busy life calls for an especially luxurious escape—even if you did just start thinking about it, and your annual leave starts tomorrow. 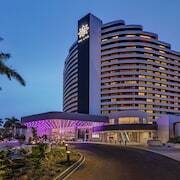 But you don’t have to sacrifice A-list amenities and top-shelf touches just because you need to make a break for it; find luxury hotels in Gold Coast on lastminute.com.au that’ll have you sinking into soft down pillows before Janice in accounting can catch up with you. You may not be a celebrity, but there’s no reason you can’t be treated like one. 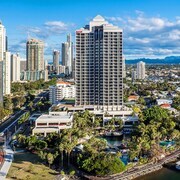 Whether you require 2,000-thread-count sheets, perfectly veined Italian marble or down pillows made from the golden goose itself, luxury hotels near Gold Coast can deliver all that and more. Many of your accommodation options will offer oenophiles the chance to sip (or swill) prime wines, while fromage fanatics can chow down on fancy brie and camembert to their heart’s content. Need some sustenance to really soak up that wine? Now’s your chance to splurge on room service—it’s almost like having your own personal butler…almost. Treat yo’self. 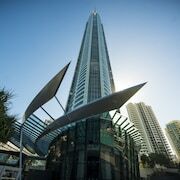 Finding and booking our Gold Coast luxury hotels is a piece of cake. And speaking of cake—it should be delicious at your lavish lodging. So listen to your inner Paris Hilton and indulge yourself with the best of the best dining, service and comfort. With our discounts, you don’t have to be a regular at Tiffany & Co. to book the getaway of your dreams.